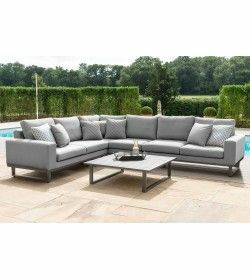 The chaise sofa set is a part of the all-weather fabric range and seats up to 3 people. 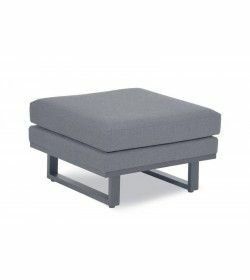 It includes an adjustable chaise longue cushion and platform that can be arranged to the left or right side of the sofa. The rectangular coffee table features a modern slatted design and neatly fits into the corner of the set. 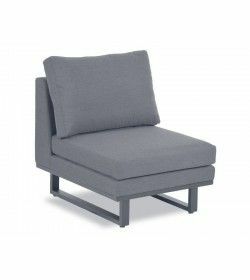 The sofa itself spans at over 2 metres in length, making it an ideal size to lounge across. When winter comes, this garden furniture set can be neatly stacked when not in use for storage or can be left outdoors within your garden.